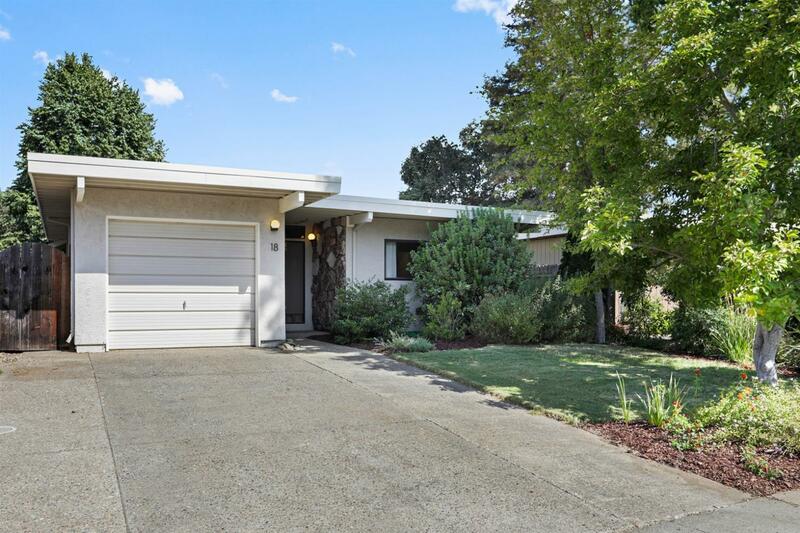 A Streng mid-century modern single family detached home in highly desirable River City Commons - 2 pools, tennis courts & a children's play area for your use. Quiet cul-de-sac location for this attractive 2 bedroom, 2 bath home. Skylights, laminate flooring, wood stove, Nov. 2017 new dishwasher, Dec. 2017 new flat roof, 2014 new furnace, 2017 new hot water heater, dual pane windows, white kitchen cabinets and a pleasant private backyard. Come take a look!